LLD is happy to present a guest post from friend Zach VanderVeen, author of The Garden of Forking Paths blog on database design and philosophy. Zach has written a couple of posts before. Hope you enjoy! The unity of achievement and enjoyment, of competence and consummation, is just one aspect of a central wholeness to which running restores us. Good running engages mind and body. Here the mind is more than an intelligence that happens to be housed in a body. Rather the mind is the sensitivity and the endurance of the body. I recently wrote a post, in which I suggested that the problem with technology is that it can drown out important kinds of reflection. We often focus on how to get things done faster and more efficiently, not why we should do so. We separate the journey from the destination, or the means from the ends. But it's easy to complain about technology without showing how we can free ourselves from the tyranny of efficiency. Even if we were all able to retire to mountain cabins and live off the sweat of our own brow, it's probably not desirable for the majority of us. So how can we develop the right kind of relationship with technology? Borgmann suggests that running can show us the way. Borgmann's main idea is captured by the distinction he makes between technological devices and what he calls 'focal practices.' Think about the difference between a cast iron stove in 1850's Montana and your modern ceramic induction range. 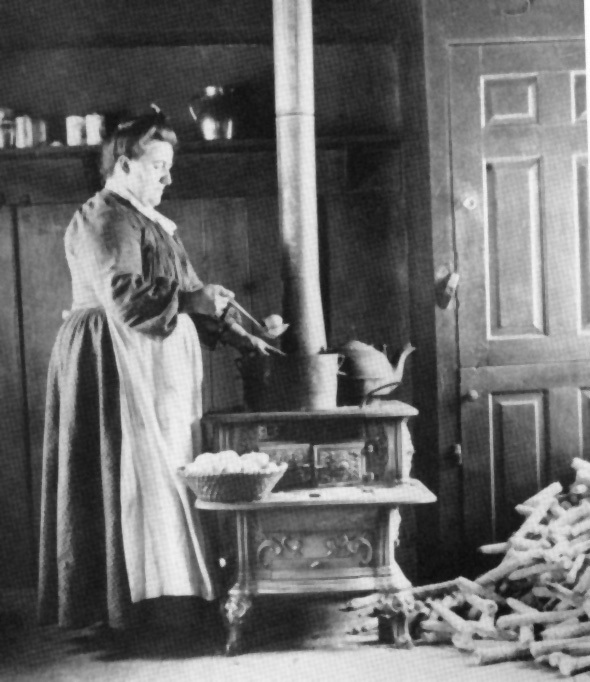 The stove of yore touched upon almost every aspect of life and formed the focal point of a house. It had to be stoked early in the morning and gathered people together as its warmth slowly radiated throughout the house. It required splitting logs and maintaining tinder, and it made the smells of wood and food suffuse the air. It divided work amongst men, women, and children and oriented their daily activities from dawn to dusk. Compare this with the stove of today, which, if used at all, hardly orients much of our daily lives--at least not for more than an hour or so. It turns on and off with the flick of a switch and is fed by gas or electricity piped in from who knows where. Its temperature is consistent, and any excess heat is whisked away by fans. It bakes cookies that burst from a tube and quickly boils water to reconstitute dehydrated meals. These two stoves show that there are things that imbue our lives with meaning, because they provide focal points that direct what we do and how we do it. The cast iron stove structures both time and space. Technological devices like the induction range, on the other hand, have the tendency to remove these focal points and, consequently, the meaning that accompanies them. The mark of a good device, like the car or the telephone, is that you can forget about it to worry about more important matters. This isn't always a bad thing, as newer technologies freed people--especially women--from the drudgery of repetitive and time-consuming tasks. But now we have freed up so much time that we have trouble filling it in a meaningful way. I think this is the reason a lot of people turn to running. Running is a focal practice. It unites sun and rain, spring and fall, the trail and the pavement, health and excess, pleasure and pain, competition and leisure, gadgets and nature, teamwork and isolation, mind and body, reflection and zen-like thoughtlessness. Borgmann says, "Running is simply to move through time and space, step-by-step. But there is splendor in that simplicity." Experiencing your neighborhood at 6 miles an hour is completely different from driving through it at 35. And running doesn't just structure time and space while you're running. Running orients my days and nights, my weeks and weekends, my diet, and my understanding of how places are connected. Furthermore, focal practices like running help us figure out what to do with the rest of our lives. They provide a baseline by which we can judge what we really need and what we don't, and they show us how to use devices in the right way. iPods in themselves provide our lives with little meaning. It's the runs, the meals, the parties, the drives, and the work that provide an orientation for their use. You need a good place to run, friends to eat with, events to celebrate, destinations to drive to, and meaningful work in order for the iPod to do its work. Don't let the iPod replace those reasons to run. Great piece. I recently got a hand grinder for my coffee and have enjoyed working a little bit for a cup instead of just pushing a button. It definitely brings more attention to the process rather than just the instant gratification of say buying a cup ready made. Thanks for reading, Joe. Just a few things I've been thinking about as the holiday shopping season gears up. Running helped me quit video games, at least! There's a state that we can find ourselves in where the mind and body become a single functioning unit, and we just roll. Call it whatever you like (flow, being in the zone, etc. ), but the experience is the same. Running provides us with an opportunity to connect mind and body in a substantial way, one that provides instant feedback from our actions and decisions. It's about purpose, in my experience. Having that goal, that sense of purpose to your activity, increases your ability to enter this state. Without a purpose, you're just plodding along.